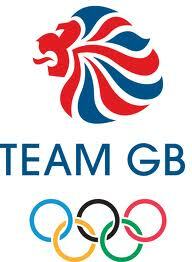 Another Olympic post – I’m sure many people are fed up of the Olympics but I cannot get enough so I shall press on. This time commentary about the UK as a multicultural nation struck me. The union flag, so often associated with unthinking, political far right, unhistoric and inaccurate renderings of British history, seems to have been reclaimed for modern, multicultural Britain. Twitter, so often a good barometer of public feeling, seems to be full of the idea that Britain is regaining a sense of its modern position in the world and is more confident to project Britishness to our international colleagues. The opening ceremony of the Olympics has been criticised by a few (very few) people on the right of the political spectrum for being too left wing, multicultural and socialist. They cite the nature of the typical British family portrayed and the celebration of the NHS. Now I am proud to be British and my nation’s achievements as a multicultural, international, nation and I am proud of the NHS as representing a strong sense of national ethical and moral responsibility. This cathartic experience of nationhood and new found confidence is one which the internal audit profession, it seems to me, could do with. Sure internal audit has changed and emerged from the shadows, sure modern internal audit is a long way from cash counting, paper policing of the 1980s, 1990s and 2000s. We have not yet, as a profession, been able to celebrate ourselves yet. Many of us still work in the private sector under the yoke of the financial reporting controls ogre. I’ve said it many times, financial reporting is the very last risk to crystallise when a business goes wrong. Many of us still work in the public sector where expectations are higher, yet at the same time quite low, with a lingering doubt that internal audit really can be a strategic partner. Yes many of us still sit at audit committee tables and hear the words of the external auditors listened to with bated breath, irrespective of whether they are qualified or knowledgeable to comment. Well I guess my exhortation to internal auditors is to be more confident and to believe in ourselves. There is an emerging cadre of strategic internal auditors, who, when using our unique attributes of objectivity and non-executive responsibility, can really work with our management teams and clients to make a real difference. Yes this means we need to train, to become strategic, to think rather than tick, and to be more pragmatic and less rules-based. This can be done and we can deliver. Perhaps with hard work over the next few years we can win the ‘audit Olympic gold’ at Rio.